Led’s are a great solution when replacing incandescent bulbs in many applications. One problem is that LED’s don’t like changes in voltage & current. For example, the voltage from a car battery can fluctuate quite a bit from 11 – 14 volts and this can be a big problem for an LED. If you design the LED light for 11 volts then it will become a DED (Dark Emitting Diode) once the voltage jumps to 14 volts. If you design the light for 14 volts it will always be very dim when it is only gets 11 volts. For most of my LED applications a very special circuit was designed to run the LEDs at a “constant current”. This provides a constant amount of power to the LEDs and also provides a constant amount of light for a longer period of time. This circuit also allows the LEDs to run on almost any normal voltage above 4 volts. This means you can use multiple sources of power for the same light, a few AAA batteries, or even a car battery (see notes below)! Max output is 300 mA. Maximum supply voltage should be less than 40 volts. (Higher power levels will require external heatsinks). BOTH of the above have the condition that the max watts (Watts = Volts x Amps) through the circuit is 2000 milliwatts. Higher than necessary input voltage (input voltage above the load’s voltage requirement) leads to excess power, which may require heat sinking. For example, if powering this circuit using a car battery you should try to use 3 leds in series which requires about 10 volts. If you only use one LED (about 3 volts) then the circuit will become very warm and should use a heatsink. The circuit needs + 0.3 volts to work. For example, if you are using a white LED that requires 3.3 volts, the circuit will provide aconstant current until the voltage drops below approximately 3.5 volts. You may use “any” voltage above 3.5 volts ( if it meets the constraints mentioned earlier) and the circuit will provide constant current = constant light output. Once you go below 3.5 volts (in this example) the circuit basically goes out of regulation and you’ll get dimmer light until the batteries go dead. Incandescent lights powered by conventional batteries have this same problem. As the battery runs down the lower voltage will cause the LEDs to give out less and less light. The original circuit was made to run a single 5mm LED from 3 AA batteries for a VERY long time. Six 5mm LEDs in parallel: Use a circuit designed for 120 mA (6*20) and an input voltage of at least 3.5 volts. Six 5mm LEDs in series: Use a circuit designed for 20 mA and an input voltage of at least 20 volts (3.2*6). 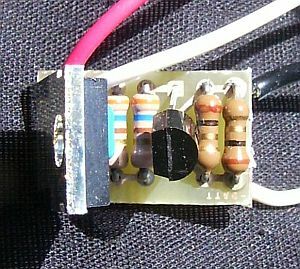 5 parallel strings of three 5mm LEDs in series: Use a circuit designed for 100 mA (5*20) and an input voltage of at least 10 volts (3.2*3). This makes a lot of light, an excellent solution for many automotive uses. The closer the circuit gets to 2000 mill watts the warmer the transistor will get, almost to the point that it is too hot to hold in your fingers. At this point you should be doing some heat sinking or cut back on power. If you are running LEDs in parallel you should consider using a small resistor (say 1-10 ohms) in series with each string of LEDs. This is to protect you from any defects or problems with an individual LED and to help prevent “thermal runaway”. Please note: I’m unfortunately unavailable to provide support for this circuit. Hundreds of these have been built using these specs and parts. If you have experience with a soldering iron and especially if you’ve built electronic parts before, there shouldn’t be any issues at all. The kit with all the parts (including a bright white LED) is only $11.00 with FREE shipping to the continental US. 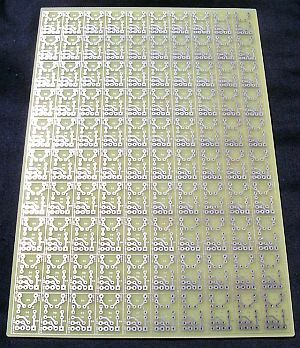 UPDATE – Sorry, we’ve unexpectedly run out of PCB’s for this project. We hope to order more soon. Feel free to post a comment below to be updated when new boards come in. I am interested in you kit, what do I need to do to order??? Want to order a kit, via paypal. Is there any way to configure this set up to run 800-1000 mA output? Would like to purchase kit. Please send information to order. Guys, I really am backed up on getting kits ready for sale and am very sorry I can’t ship out right now. Please send me an email: rl@ this domain to be put on a waiting list. Can I get one of your kits from you? I enquired about purchasing Constant Current Bright LEDs kit in March of this year……Can I purchase one or not? I would like to purchase a couple of these for an experiment I am working on.Please send me ordering information.Thank you. Hey everyone, the kids are again available! A link / button to Paypal is above (you can use paypal or a credit card). 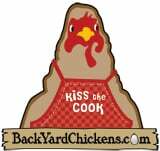 Payment is processed through my store at backyardchickens.com. Thank you for your patience while we got everything re-stocked and ready!